links and samples, relevant conferences. Successively, we will provide also feedbacks, new methods,and other helpful facts. We are looking forward to your feedback! Model development is of vital importance for understanding and management of ecological processes. Identifying the complex relationships between ecological patterns and processes is a crucial task. Ecological modelling—both qualitatively and quantitatively—plays a vital role in analysing ecological phenomena and for ecological theory. This textbook provides a unique overview of modelling approaches. Representing the state-of-the-art in modern ecology, it shows how to construct and work with various different model types. It introduces the background of each approach and its application in ecology. 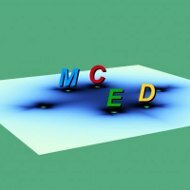 Differential equations, matrix approaches, individual-based models and many other relevant modelling techniques are explained and demonstrated with their use. The authors provide links to software tools and course materials. 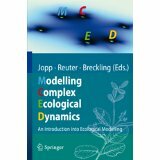 With chapters written by leading specialists, “Modelling Complex Ecological Dynamics” is an essential contribution to expand the qualification of students, teachers and scientists alike.